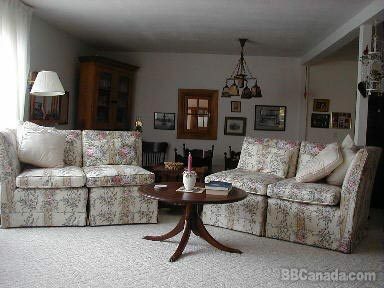 Antique furnished, quiet, beautiful home. 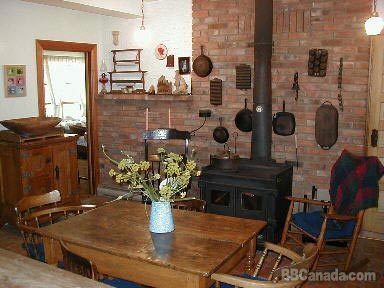 Wood stove in Quebec farmhouse style kitchen. Refreshment area & guest common room. Lots of books. Guests may sleep in, or rise early to enjoy a delicious self-serve breakfast in the formal dining room, by the kitchen fire, or in the pergola. Homegrown organic herbs, edible flowers & produce featured. 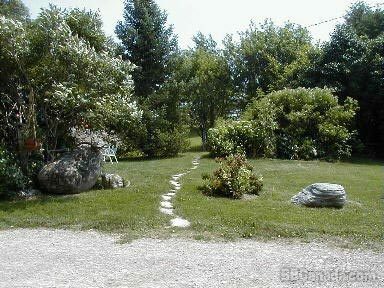 Mature trees, peaceful parklike setting includes pond, paths, hammocks, firepit, barbecue. Butterfly & birdwatching. 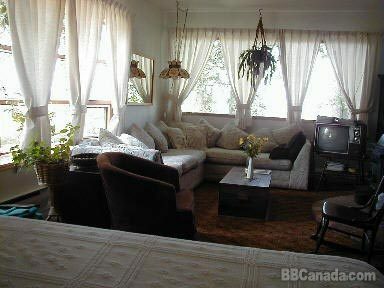 Ideal for daytrips around Grey-Bruce/Georgian Bay. Nearby beaches, golf, boating, Bruce Trail. Pick-up/drop-off for hikers. Lots of parking for boats & cars. Guests welcomed all year by well-traveled, early retirees who enjoy snooker, bridge, golf, silviculture and gardening. 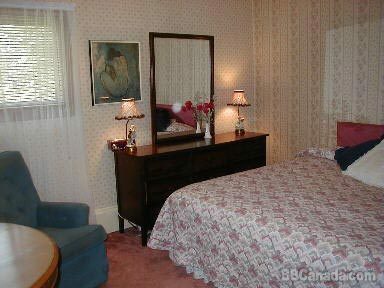 We are Owen Sound's longest established B & B (1987). Cancellation : Twenty-four hours, or consideration in case of illness. Seasonal Information : X/ski & snowshoe from our back door through beautiful bush, hills and creeks.